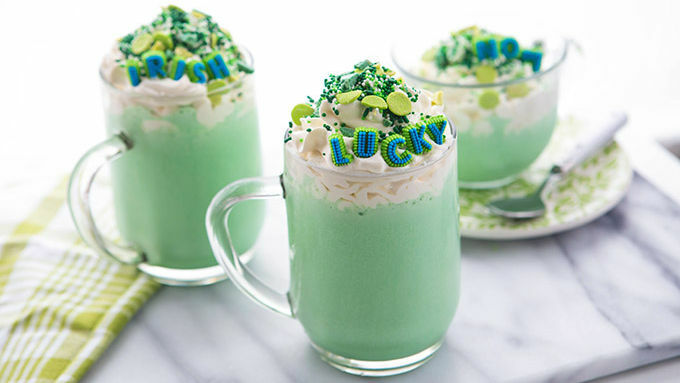 Place ice cream, crème de menthe, and Irish cream in a blender. Blend until smooth. Pour into serving glasses. Top with whipped cream and sprinkles. Sprinkle Medley: Give your shake the latest look by combining several different sprinkles together to create a confetti-like medley! Early in my days as an online food lover, I had a gig that required us to blog for pageviews. The more traffic our recipe ideas brought in, the bigger our earnings could be. There were five foodies on the team, and the competition was intense. We’d post, then watch page numbers, post, then watch page numbers, post again, then… well… you get it. One Thanksgiving, I posted 23 different articles. Anything to stay ahead of the pack and capture the monthly win. Those were the early days of the internets, and people got excited about the strangest things. Rainbow-colored everything. Mason jar everything. Mug cake everything. There were a few ideas that we knew people would just eat up. And so we made them a lot, and fell into a rather repetitive editorial calendar. Rainbow, Mason jar, mug cake, repeat. Until one day, my fellow blogging buddy put up a simple post. 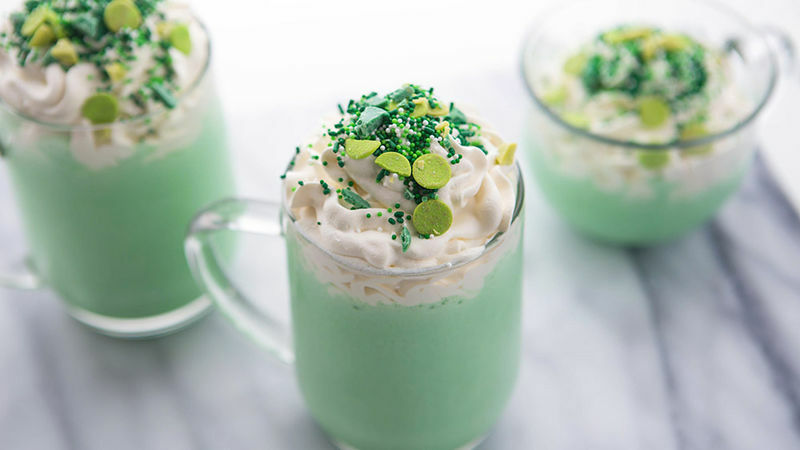 A single photo of a lime green shake—a homemade shamrock shake—inspired by her afternoon drive with a crying toddler, who, once they drove past a certain local fast food joint, wouldn’t stop crying for a leprechaun shake. The post went bananas. And, by bananas, I mean wildfire bananas. There were clicks. Thousands of them in the first hour. Then millions. Turns out, amidst our passion for Mason jars and mud cakes, we also love us a decent milkshake. And while the classic green version is a mighty nice treat, we thought it deserved a grown-up upgrade. Because shamrock shakes aren’t just for weepy toddlers. 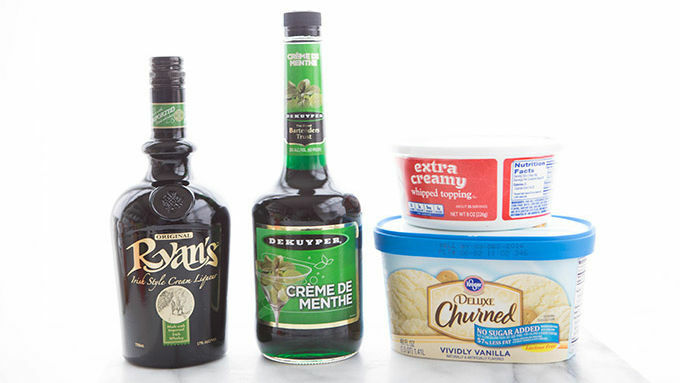 From time to time, we adults deserve to dive into cup of crème de menthe and Baileys™. And ice cream. And Irish-inspired love. So, come with me, dear one. On a magical adventure to the end of the rainbow. Or really, the kitchen. Toss together bunches of different green sprinkles. And do your life a favor, grab a packet of Betty Crocker® cake décor letters. Because CUTEST IDEA EVER IN 3, 2, 1…. Decorate your heart out, my shamrock shake buddies. Then grab a straw and get your boozy on!